Link building is the backbone of a good SEO strategy. If you haven’t worked enough on building a good number of trustworthy links to your business website, you are going to lose your potential customers to your competitors in the market. This is due to the fact that Google prefers to display websites with good links as top results. So when your target audience searches for the kind of products and services you sell, your company website is probably going to be buried deep down in the sea of web results. The only way to get to the top is to actively build SEO links from quality sites by producing and sharing awesome content. Let’s understand the concept of link building with a simple example. Suppose you sell cars. Your website will contain content related to cars. To establish the authority of your website, you will need to link your readers to content that is relevant and useful to them. In this case, it could be car accessories. Another example would be the linking of car stereo products in a blog that talks about information pertaining to cars from an authoritative site in the auto industry. As you go on incorporating useful links into your content and when you have valuable content that links back to your site then search engines like Google will start recognizing your website as an authority in your domain of work. This is how you move up the results page. Increased traffic coupled with more links will slowly push your website to the first results page in a few months time. Being a top search result in your domain means more customers and business opportunities. Linking web pages is not a standard copy-paste procedure. The process involves four specific parts. White hat link building is a balance between understanding what search engines are looking for with SEO content, but also thinking about the needs of your audience and the readers of the source that will be linking back to your website. To get the most out of your SEO link building efforts you will need to create amazing content, build lasting relationships with bloggers, and know how to leverage factors of technical SEO to drive your website in search rankings. Anchor Text: The anchor text is the first part of the link, and it is the text that people read. Search engines read the anchor and immediately get to know that there are linked content on the web page. Anchor text provides content to search engines and readers, so the content that you choose to display in the anchor text of links is very important. Referral Location: A referral location is basically a pointer that indicates the type of content the link is pointing to. It can be anything – a file, image or a web page. If you want to get maximum effect from your backlink strategy then you should consider the pages that you are pointing the links to. Focus on your homepage or high-value services pages so your site will get the most benefits from your tactics. Visible Text: A small underlined text that is displayed to users when they click on the link. Be sure to choose visible text that reads well and makes sense to your readers and will not come off as spammy to bloggers and website owners. Otherwise, no one will click on your link and bloggers will not let you publish content on their site because you could come off as a spammer. How do you get prospective customers to trust you with their money? Simple – present yourself as an authority. The number one way to do that is to constantly supply them with content that is relevant and useful. A single web page on your website could potentially help your target audience with loads of information from various sources. This way, they’ll never have to leave your website and search for someone else’s opinion. Your brand image is powerful enough to capture attention and influence opinions. Now let’s take a look at the other side of the coin. What happens when a web page links your content? The traffic on your website increases, more people come to know about your business and eventually you’ll make better sales! So it’s equally important to get referred by someone else. 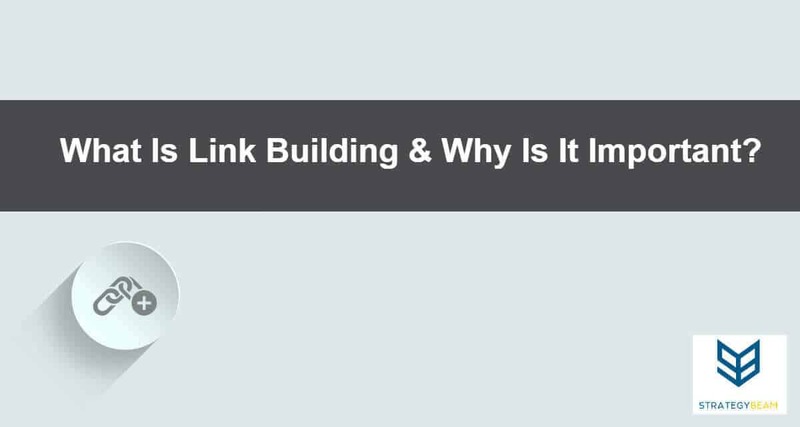 Link building is a two-way channel. You link some content, and someone else links your content – the goal is to create a complex interconnected web that keeps the traffic circling around your website and your partner’s web pages. The only way to survive in a capitalist market is to forge partnerships and relationships with other businesses. Link building indirectly compels you to do that. It’s a healthy exercise. When you are going to link someone’s content, you have to reach out to them, understand their model of business and so forth. Great discussions always begin this way. Who knows? A few years down the line you might be running promotions with them and this could grow your business in a number of ways that you haven’t thought of yet! How Do I Get Other Businesses to Link My Content? No website owner would want to link content that isn’t useful to their target audience. Doing so would only drag their brand value down. Everybody wants to link quality, organic and useful content. Your objective is really simple – create impressive content. If it goes unnoticed, try asking websites that you want to be featured on to have a look at what you’ve created. Usually, quality work never gets turned down. What’s better than hearing the story straight from the horse’s mouth? Try your luck at authoring a blog post on a website that is relevant to your business. Once your write up gets published, it automatically acts as a backlink to your website. So, you lure the fish, they take the bait, and you pull them onto your boat. Everyone starts small and if you only have a few pages of content on your website, your best option is to reach out to a friend or a business partner who already owns a blog. Ask them for a favor or offer something in return – either way, you’ll get your name out there! In an era where most businesses earn a majority of their revenue online, one must leave no stone unturned in order to capture traffic and convert leads. SEO link building plays a significant role in this process. Did you know that a difference of a few links between your website and your competitor’s website can cost you thousands of dollars? That’s cut throat competition. It’s time to stop guessing and start growing your business with white hat link building strategies for your business today! If you want to grow your online presence and make more money then you should fill out the form below!